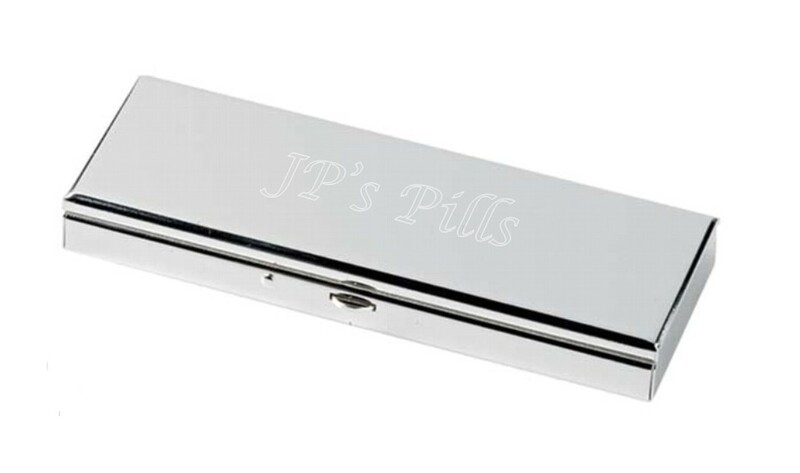 Personalised Engraved Silver Plated Rectangle Weekly Pill/Tablet Box. 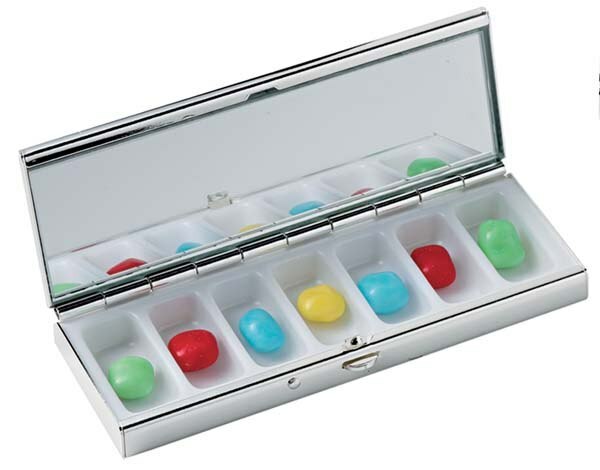 The beautiful item measures 102 x 40 x 20 mm and has 7 white plastic inner compartments for your weekly medication. Comes complete with a gift box. All of your engraving is done on the front/top of the pill box.